This home is move in ready. New roof installed April 2019. New HVAC, septic, and hot water heater in 2018. 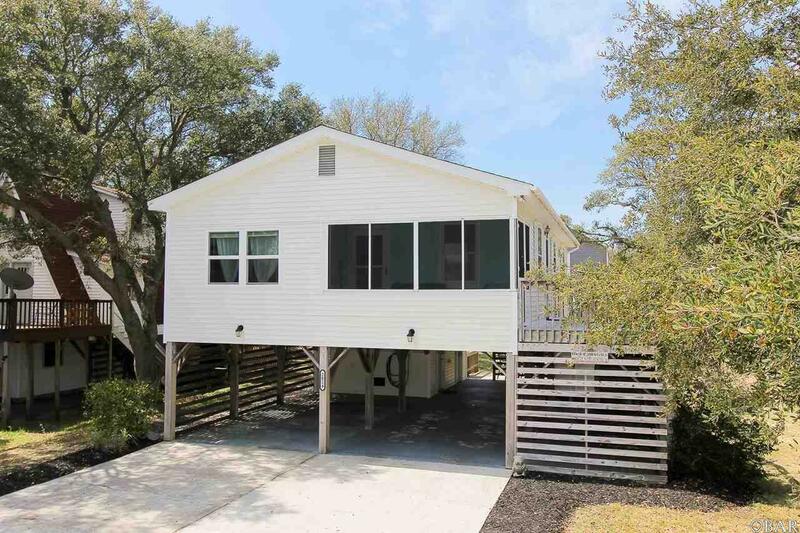 Updated beach box with modern interior, open floor plan and screened in porch to enjoy morning coffee or local seafood for dinner. Kitchen shows well with stainless steel appliances (2017) with 'John Boos Maple butcher block counters' and a food pantry. Has a large outdoor shower, storage and laundry room. Short walk to sound for great sunsets. Ocean and sound front parking available for $35 a year. There is a Half bath located under the home, separate from heated living space.